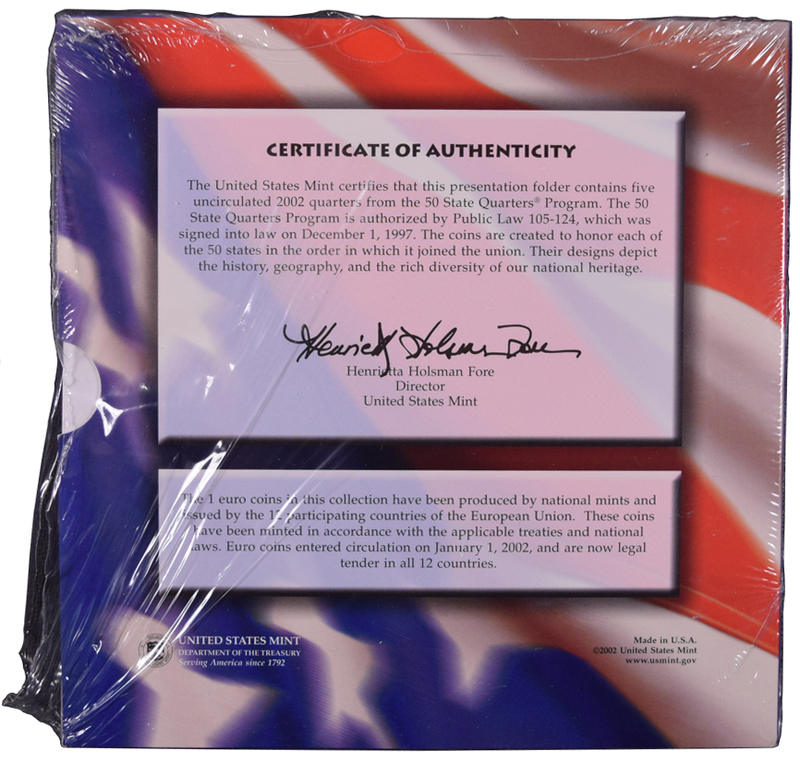 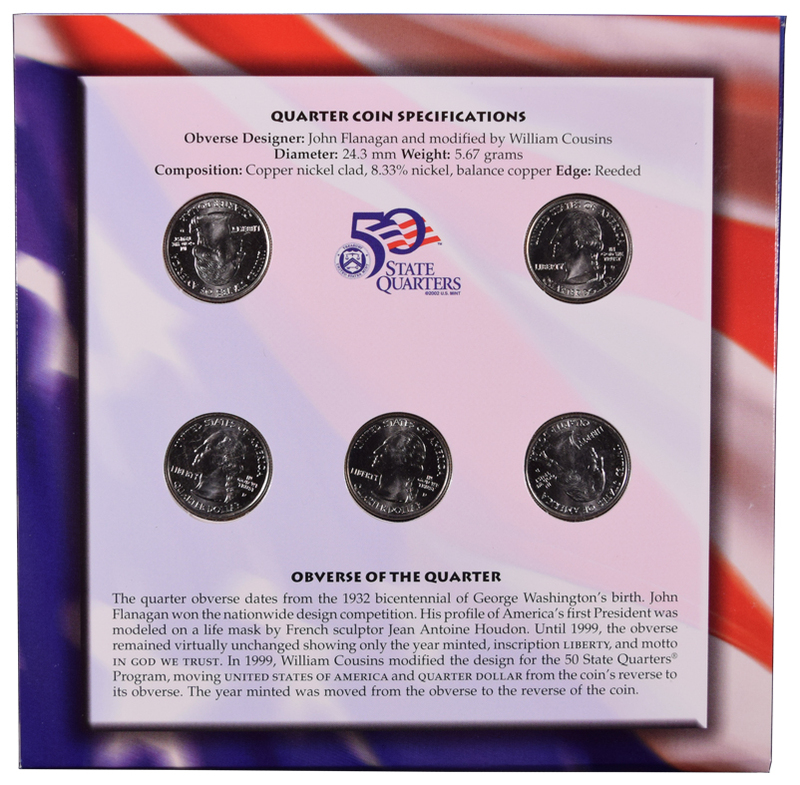 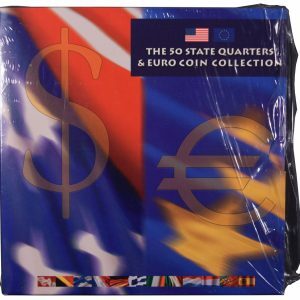 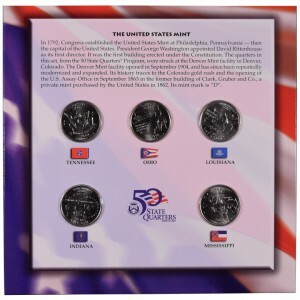 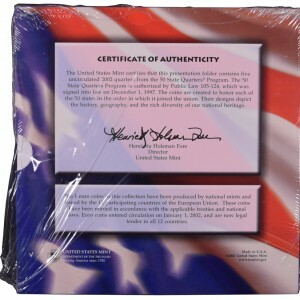 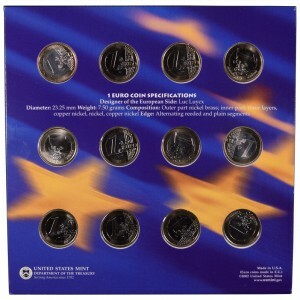 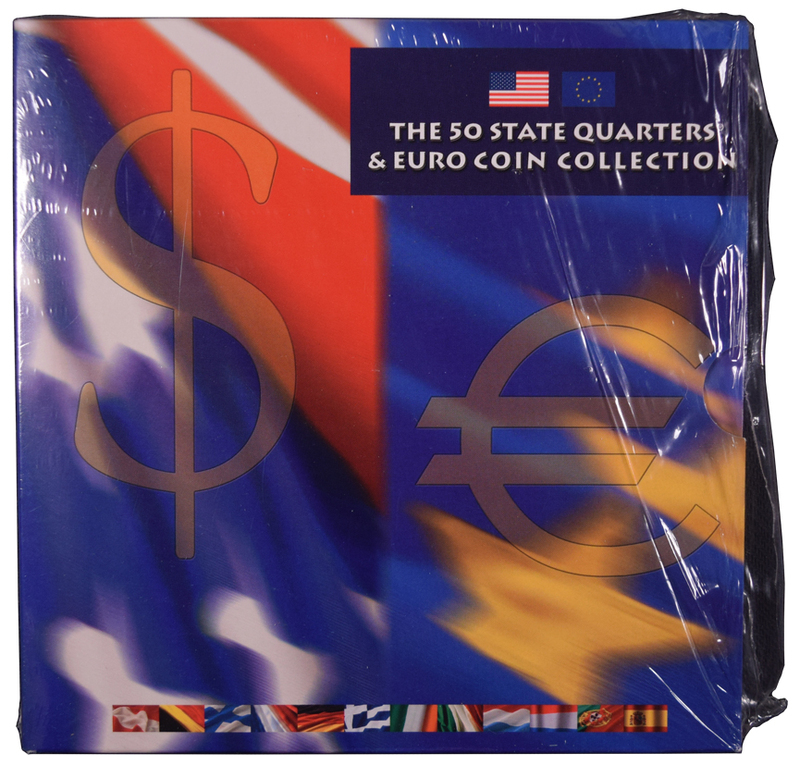 This set contains one of each Statehood Quarters issued in 2002. This includes Tennessee, Ohio, Louisiana, Indiana, and Mississippi. In addition the set contains one Euro coin from each of the 12 countries that were issuing Euros at the time. This includes Austria, Belgium, Germany, Spain, France, Finland, Greece, the Republic of Ireland, Portugal, The Netherlands, , Luxembourg, and Italy. The exchange value alone of the 12 Euros is over $13.00!